This striking bouquet is a truly romantic way to complete your bridal look. 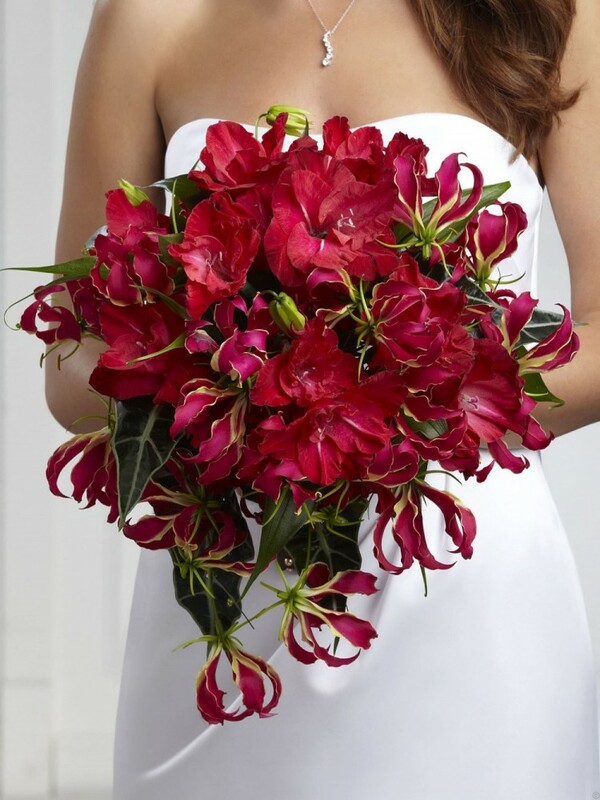 Red gloriosa lilies and red gladiolus is accented with dark green tropical leaves and tied together at the stems with a chocolate brown grosgrain ribbon to create a voluminous bouquet symbolising your eternal love and affection. Approx. 16"H x 14"W.